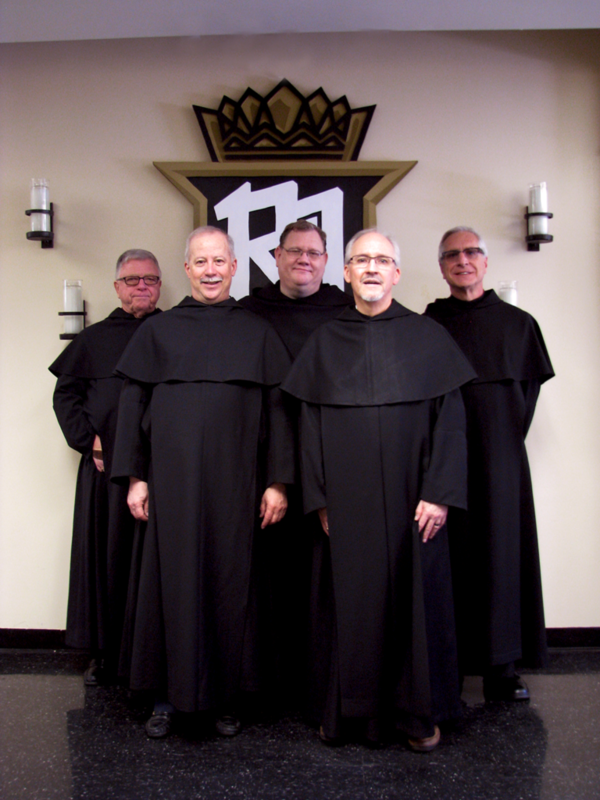 The Servite Order was founded during a tumultuous time in 1233 as a mendicant order in the Church by a group of laymen, cloth merchants of Florence, Italy, known as the Seven Holy Founders. As mendicants, the friars were free to take the Gospel into the streets, to preach, hear confessions, and minister to people wherever they were. In turn, they depended on the charity of others to live and continue their ministry. They dedicated themselves to Mary, the Sorrowful Mother who modeled a life of hospitality, service, and compassion. Today, more than 800 Servite priests and brothers serve in 27 countries in Africa, Asia, Europe, South and North America. In the USA Province, Servite priests and brothers serve in Chicago, Denver, Portland, OR, and Orange County, CA, with delegations in Australia and Zululand, South Africa. The Servite religious family includes friars (priests and brothers), contemplative nuns, congregations of active sisters, and lay groups.